Anti-Fragile Walking emerged out of my long study of the principles of The Feldenkrais Method. I wanted to create a direct and practical approach to improving one of our most fundanmental functions: walking. My passion grew out of two insights: one happy, one tragic. Years ago, I realized I could turn my daily commute into a rigorous, rich practice. I began to intensively study my own walk, and to observe the huge variety of walks on display in New York City. I learned to refine my own gait, support, timing and balance, and because I never missed work, I never missed practice. The improvements in my life, my posture, my sense of comfort and ease were profound. At the same time, in my private practice, I had the opportunity to work with many people who had arrived at that difficult moment in life when they were losing their ability to walk. Their steps were numbered. Whether through age (some were in their 80’s and 90’s), surgical interventions that hadn’t succeeded, or other disease processes like Parkinsons, MS and the like, I found they shared a common source of despair: the confusion they felt in their predicament. An activity they had done unconsciously their whole life, which had been “good enough”, was now slipping through their fingers. They had no criteria to practice and measure their efforts, no acquaintance with what it meant to study or refine an activity they had taken for granted their whole lives. There was also the realization of how far down the slope of function they had slid, and they felt unable to even find the levers of improvement to work their way back up. The ones who improved most were not the strongest, or the most physically fit. It was the ones who could embrace beginning again, and who found the dignity in learning. They could walk to learn. And they were an inspiration for the material I’ve created. 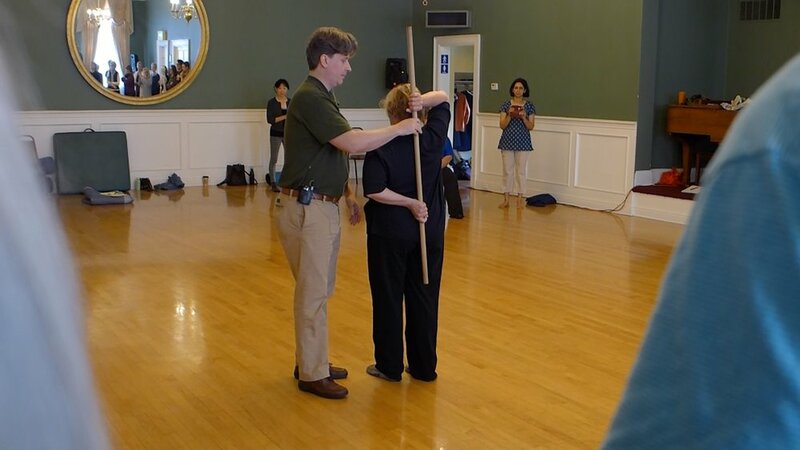 or through the Body of Knowledge Course on Patreon, which includes a subscription level for those wanting to study Anti-Fragile Walking through audio Awareness Through Movement Lessons an videos. 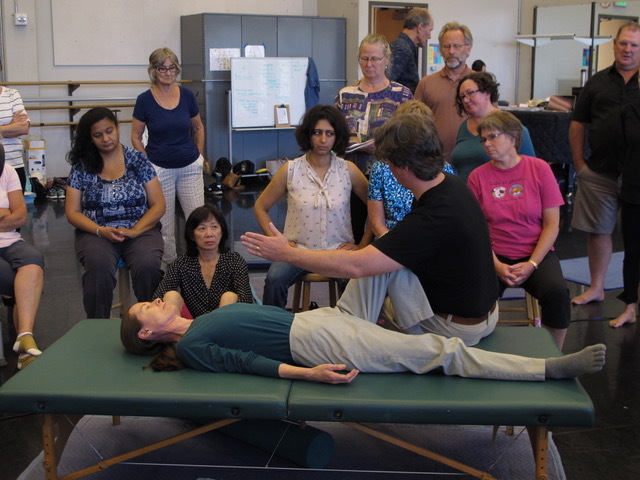 “Not only is this work I can do with myself, I can take it to my students and clients. The work Andrew is doing is critical to our everyday life and applies to many other aspects of upright posture and movement. Part of the curriculum involves studying particular moments during the stride. Some of this is painstaking and challenging, yet it reveals the blindspots most of us have about how walking works, how it can be better supported, and where to concentrate our practice. So many of the details about how the body works are hidden from view. Having a clear image of the skeleton and knowing a few of the major functional relationships go a long way towards clarifying your practice, and refining your self image when you walk. Without these details, it can be like playing tennis with an invisible racquet: some balls you hit, some you miss, but it would be really nice to know the shape of the tool you’re using to make contact with the ball. The same is true for our image of the skeleton. The richness and variety within the Awareness Through Movement lessons serve an important use: to lever you out of the deep grooves of habit. As a skill, balance is not something that can be kept. Balance is really the ability to regain balance. As a foundational skill balance must be studied and challenged in a variety of orientations, constraints and patterns so that you can learn to refine the whole-body response to moving through space. This is why there is so much benefit to doing ATM lessons lying on the stomach, on the side, standing on one knee, sitting, etc. The whole range of orientations in which you perceive yourself in space must be trained as part of the process of improvement.